A range of brushes designed to work in perfect harmony with our wax. Vintro Wax Brushes consist of pure white hog bristles which can be used for applying wax to furniture or applying chalk paint. The bristles are shaped to enable paint or wax to reach small and detailed areas and the wooden handle has been designed for maximum comfort. 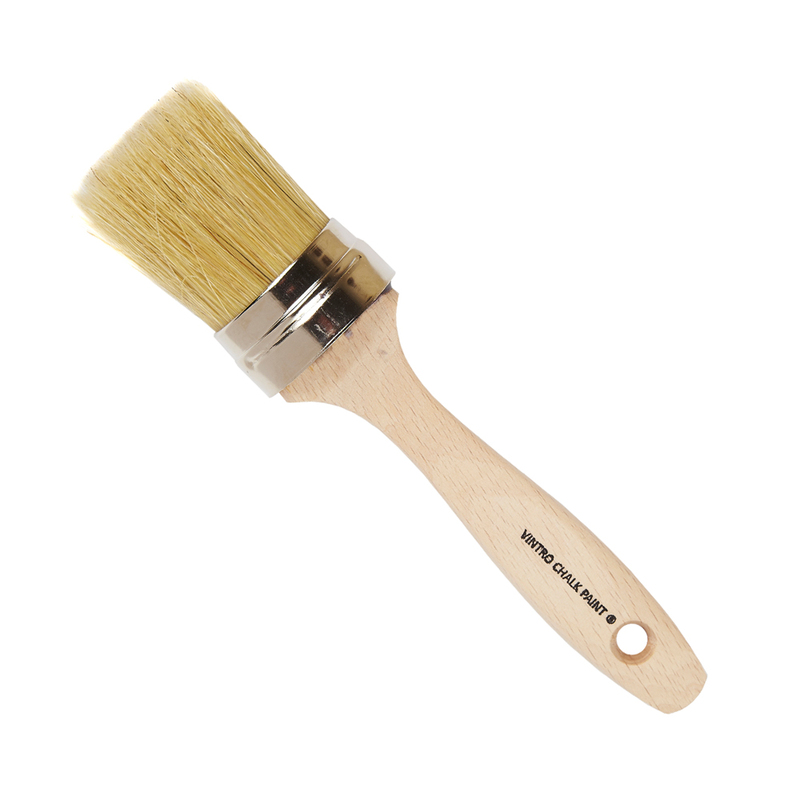 These brushes will achieve a more textured and rustic finish when used with chalk paint as the paint is applied more thickly due to the bristles absorbing water from the paint.